Calke Abbey is the National Trusts’ ‘unstately’ estate. 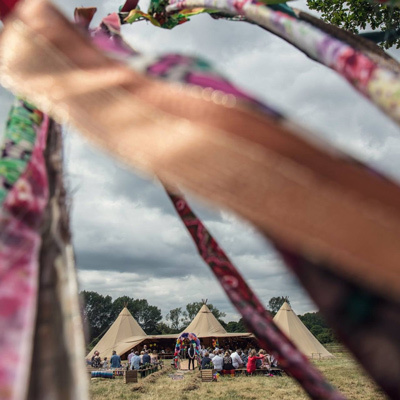 It is surrounded by 600 acres of lush parkland, ancient woodlands and ponds filled with deer, long horn cattle and rare bread sheep. Frozen in time, Calke Abbey and it’s Riding school genuinely is one of the most charming and beautiful wedding venues in the British isles! Lying not far from Derby, The Riding School has great links to Nottingham, Leicester and beyond. 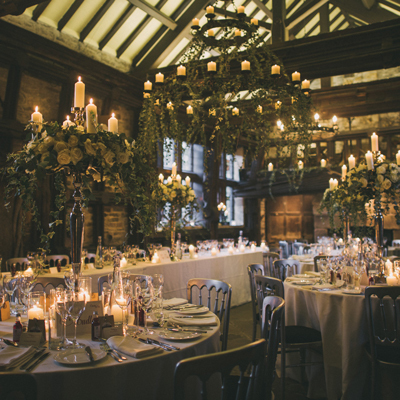 Voted as one of the best places, in the UK, to get married; The Riding School, at Calke Abbey, was built with love and Honeysuckle & Castle continues in that tradition there today. The Award Winning Riding School is a characterful 18th Century building containing many original and quirky features including massive oak beams, a viewing gallery, a rowing boat and antique paint work. 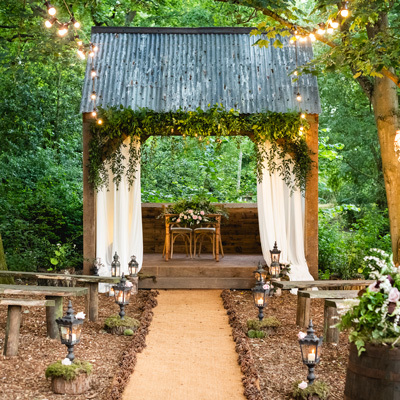 Licensed to hold civil ceremonies and partnerships, it really is a fabulous place in which to cement and celebrate your union with a twist of rustic chic. The Riding School is an extremely versatile and diverse ‘barn’ space. It’s authentic Georgian paintwork acts as the perfect blank canvas for all types of decoration, but especially those with rustic, vintage, country, bohemian, natural, outdoor and shabby chic themes. No matter how simple/minimalistic or grand/extravagant, Honeysuckle & Castle are on hand to help you throughout the process and on your big day. The venue works alongside Black Peppermint Food Company who go above and beyond in crafting a menu that can be made bespoke to each couple. Rest assured that you will be in good hands for your wedding breakfast! Calke Abbey also has beautiful cottages nestled within the estate, giving you the perfect excuse to enjoy a weekend getaway with those that you love. Please note the cottages need to be booked separately, via the National Trust.